The UK Pavilion at this year’s Expo in Milan has received much praise not only for the concept and design, but also for the execution of the build. 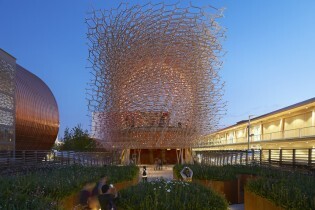 Last week another award was added to the lengthening list of architectural and design accolades when the Wolfgang Buttress designed ‘Hive’ was selected from a shortlist of 14, winning the category of Best Public Building with Public Funding in the prestigious Blueprint Awards. The Blueprint awards honour excellence in the architecture and design industry and awards are made across 12 categories from projects all over the world. This major accolade is the seventh award that the pavilion has received, last month it won the International Prize for Best Pavilion Architecture by the Italian Association of Architects. 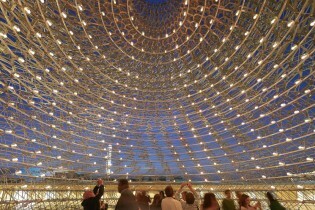 Completed on time and within budget, the pavilion was delivered by a team comprising Artist, Wolfgang Buttress; Architects BDP; Structural Engineer Tristan Simmonds; and Stage One. On 20th October, the UK Pavilion celebrated reaching a landmark three million visitors since the Expo opened in May. How we manufactured and constructed this amazing structure.